What’s the most frequent question I’m being asked lately? It’s a fair question seen as I’ve travelled the length and breadth of Ireland in the past seven months. However, people seem disappointed with my response. I’m not trying to be diplomatic by responding that after every road trip, myself and my trusty travel companion (boyfriend/designated driver) would proclaim that we had just discovered our new favourite cafe or guesthouse, beach or castle. Some may accuse us of being indecisive, but I beg to differ. The fact is we were simply spoilt for choice. Perhaps the easiest thing is to break it down by county. That I can do. They say the best thing to do is start from the beginning and I guess that would be Donegal. Ah, the memories of golden sandy beaches, rugged peninsulas, tiny seaside villages and some very good food come tumbling back. Alas, I must put my memories on hold for a few hours as my friend from London has just arrived delighting me with another opportunity to enjoy tea in the sunshine. She does not come empty handed; a Grazia magazine and biscuits from Fortnum & Mason in a pretty pink tin that has a wind up on the underside. It plays a tinny Happy Birthday tune and makes me smile like a five year old. I love lazy Mondays. Tuesday will bring my Best of Donegal. I promise. Lovely post. 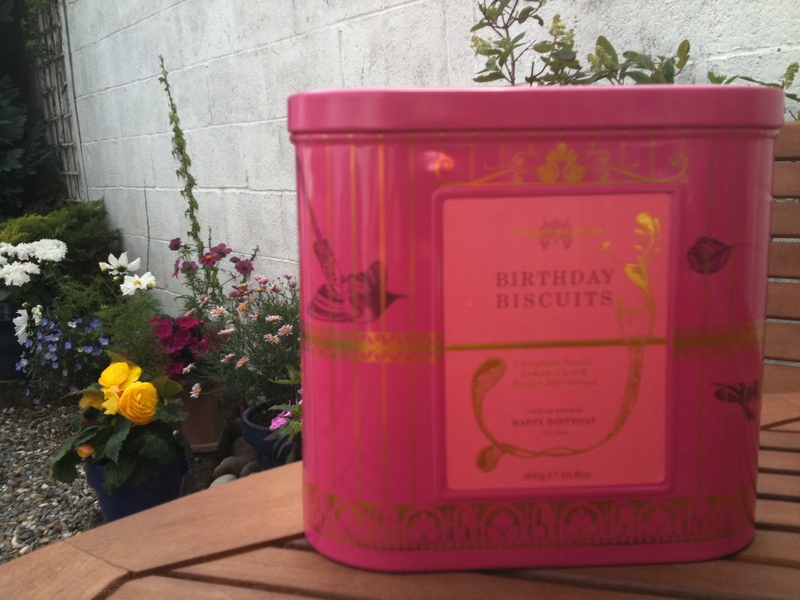 Glad you are enjoying the sunshine and the biscuits! Looking forward to the next one!